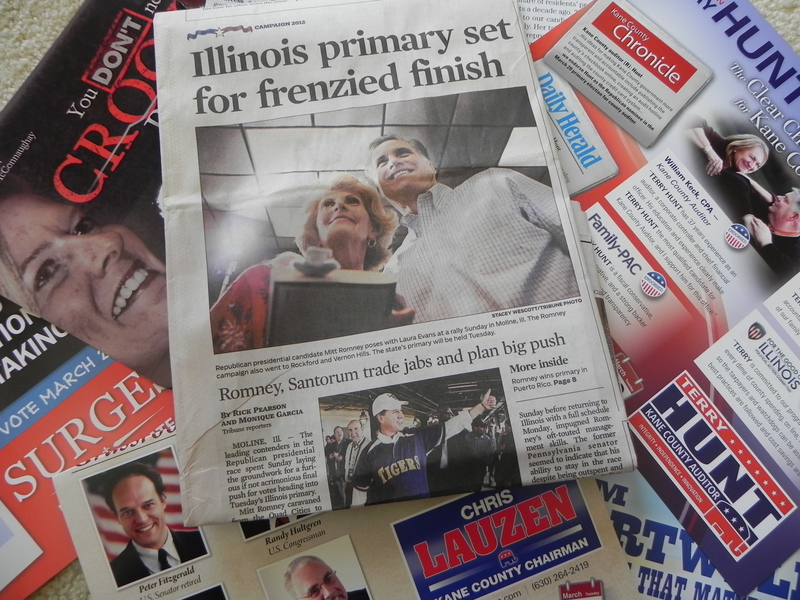 Illinois’ primary election is tomorrow, and I am excited but not for reasons the politicians would like. It’s the temporary cessation of political phone calls, ads, and commercials I’m looking forward to. Every day my front door and mailbox is stuffed with political postcards, my phone rings off the hook from an onslaught of recorded messages, and the tv and radio airwaves are shouting campaign propaganda. I understand that candidates need to get their names recognized. And I do appreciate my freedom to vote and want to use this privilege responsibly. I just don’t want to be bombarded with all the noise and clutter, none of which swayed my decision.